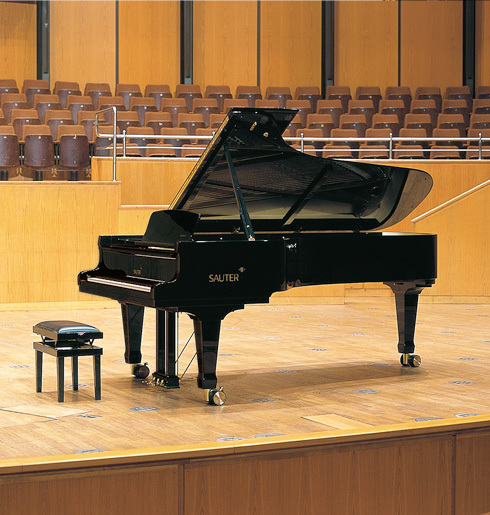 The full-size concert grand: A new dimension of sound. 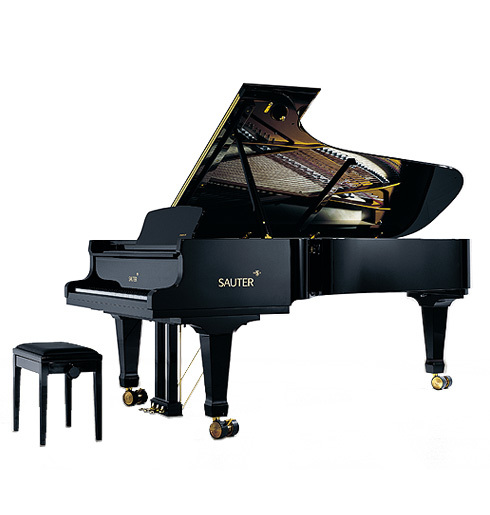 This full-size concert grand has been developed specifically for professional pianists and concert halls. It stands above other instruments in its power, ability to carry the stage and rich sonority. Its sweepingly fiery bass and sparkling treble inspire with their transparency and freshness, without becoming cold or lost in the crowd. Its refined touch allows for the finest of nuances from pianissimo to fortissimo and offers a broad spectrum of tonal colors found only in the most exquisite of instruments. The Concert 275 is built with carefully selected materials and is crafted by expert hands. 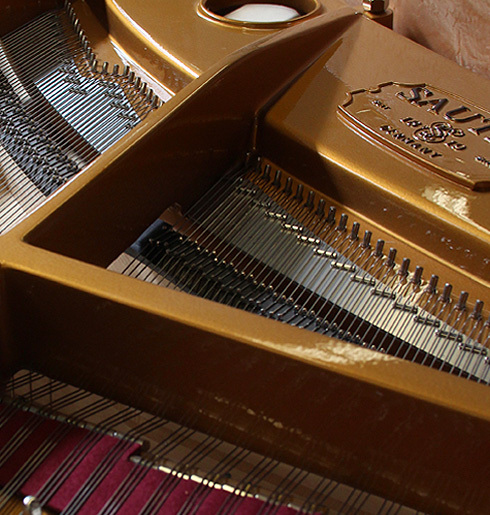 Its lasting value makes the concert grand an instrument to be passed down for generations. The sound board is made of the finest mountain spruce. Exclusive details: Specially manufactured hammer heads. Ebony sharps. Naturals faced with mineral compounds. Large, lockable brass casters with a synthetic coating. Multilayered notches, with a glued frame and integrated beechwood beams. Bridges crafted of maple. Adjustable titanium duplex. Fallboard with hydraulic damping. Music rack with convenient one-handed operation for extra reliability and comfort while playing. Sostenuto pedal. The sound innovation for absolute tonal purity. For the first time, fine adjustments to the strings on a grand piano can now be carried out at the upper duplex bridge using individually operable sliding titanium supporting bridges, which allows each string to be precisely tuned, ensuring the absolute purity of each note. 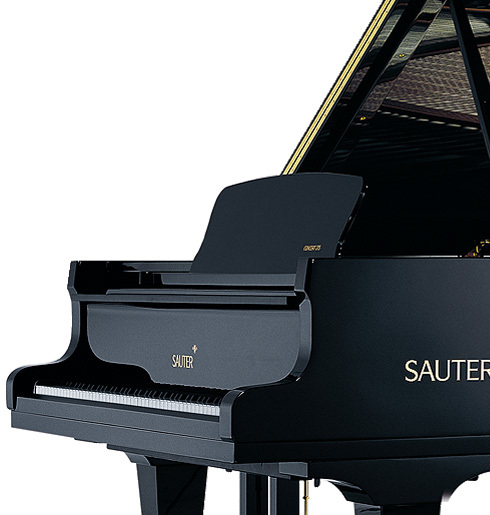 Titanium, with its outstanding sound-transmission properties, is used at other important locations where vibrational energy is transmitted, which also allows the sound potential of the SAUTER Concert 275 grand piano to develop in unique ways.